Chirp Chirp! 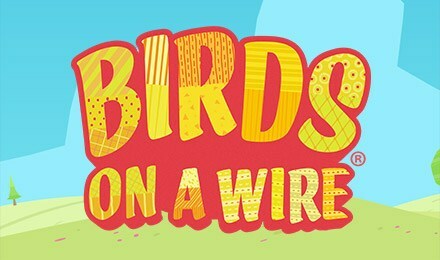 Birds on a Wire Slots is packed with fun, generous bonuses and big wins! It’s a real crowd-pleaser, so login and play today! Birds on a Wire Slots is a unique online slot game. There are 17 paylines, a 96% RTP and dropping reels – when you spin a line, the birds will be zapped off their wire, and new ones will fly in. The heavy-set black bird is your Wild, and there’s also a Bonus symbol, which will activate your FREE spins when 3 or more appear. Plus, at the end of the Free Spins Bonus, you’ll be granted an Inwinity Spin.